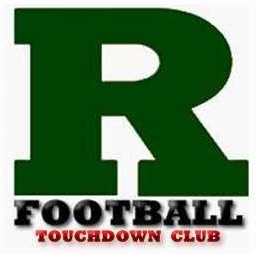 The Ridge Touchdown Club is a volunteer (501 (c)3) booster organization founded for the sole purpose of supporting the operations of Ridge Football. This group of volunteers works closely with the coaches and the high school administration to support the program and ensure the best experience possible for our student athletes. The website is not, however, affiliated in any way, shape or form with the Ridge High School Administration or coaching staff of the Ridge football team. They are neither solicited for nor consulted with (outside of schedule changes) on its content. We'd like to hear from you. If you have any suggestions or feedback, please click "Feedback" on the left and submit your suggestions. This website was developed out of a need to have a central place for parents, players, fans, alumni and students to find info, news, updates, schedules, scores, stats and standings on the Ridge High School football team. Its sole intent is to promote the team and it's players, generate enthusiasm in the school and among the alumni and create interest in the community. It is a place for those who cannot get out to the games to follow the team's progress. Ridge High School is a four-year public high school serving students from Bernards Township in Somerset County, New Jersey, United States, operating as part of the Bernards Township School District. Ridge High School opened in September 1961, ending a relationship under which students from the district had been sent to Bernardsville High School dating back to 1948. As of the 2013-14 school year, the school had an enrollment of 1,884 students and 145 classroom teachers (on an FTE basis), for a student–teacher ratio of 13:1. In 2015, Newsweek ranked Ridge number 37 of the top 500 high schools in the country. In May 2015, U.S. News & World Report named the high school as number 20 in New Jersey. Also, in 2015, The Washington Post ranked Ridge number eight on the list of America's Most Challenging High Schools. Forbes consistently names the district as one of it's "25 Best Schools For Your Housing Buck." In 2014, N.J. Monthly magazine ranked Ridge number 13 on the list of New Jersey's Top Public High Schools. In Athletics, Ridge has jumped from a Group II school in 2001 to a Group V school in 2012! Ridge Football plays in the extremely competitive Mid-State 38 Section of North II Group V and plays under the umbrella of the New Jersey State Interscholastic Athletic Association (NJSIAA) and its rules. A little trivia here. So why are we Green if we're the Red Devils? When Ridge High School was established in 1961, splitting from Bernards High School in Bernardsville, NJ, the land the school sits on was donated by the Red Devil Paint Company. As part of that arrangement, Ridge High School was to forever be known as the Ridge Red Devils. Our newly minted cross town rivals, Bernards High School, was already outfitted in red however. So Ridge went green. We are sometimes referred to, tongue in cheek, as the "Green Devils", particularly when playing Skylands Conference foe Hunterdon Central, Red Devils that they are!